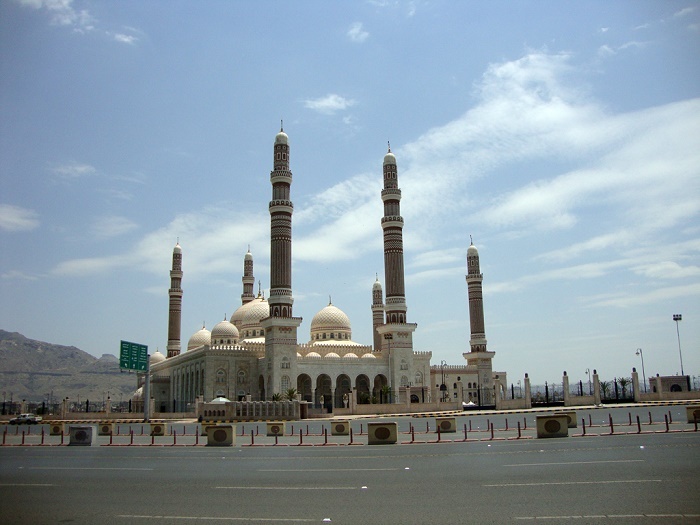 The Saleh Mosque, also known as Al Saleh, is the largest and most modern mosque ever built in the capital city of the Republic of Yemen, Sana’a. 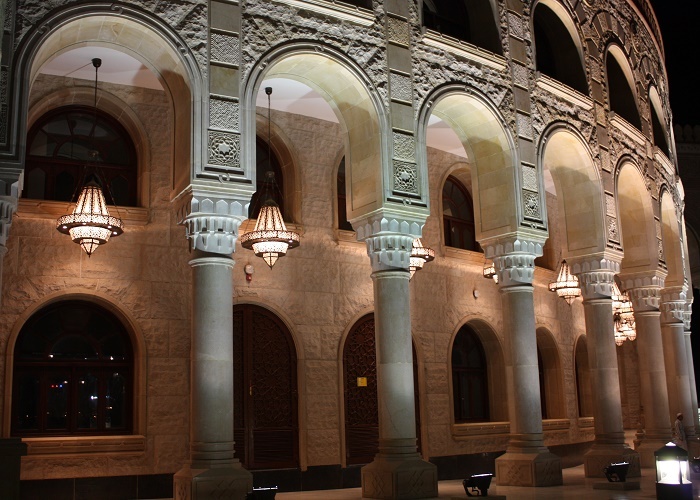 Located more precisely in the southern part of the city, the name has been given in honor of the President of Yemen, Ali Abdullah Saleh, who was the main financial assistant for the construction. 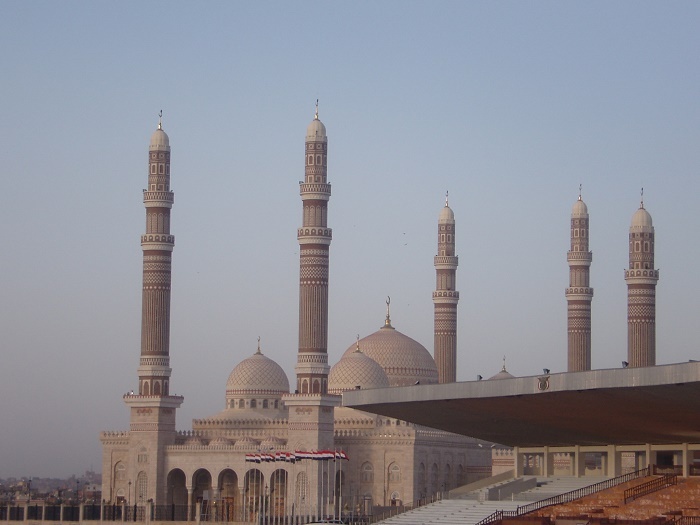 Even though he has been criticized for spending around 60 million US dollars, due to the country’s suffering of the socio-economic problems, the mosque was finished and consecrated in 2008. 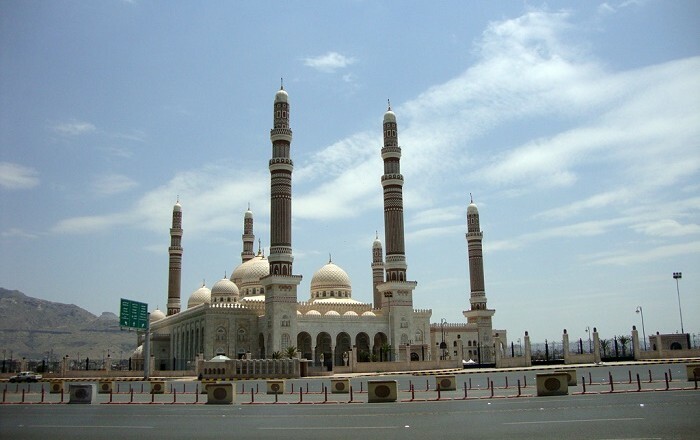 Having a distinctive features, the Saleh Mosque is open to non-Muslims as well, and with its unique six minarets and five domes, it is one of the most visited architectural marvels in Yemen. 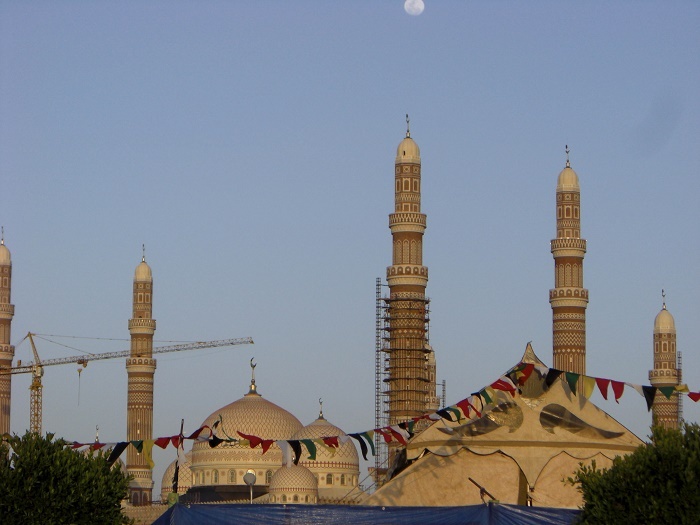 The minarets are rising up to 100 meters (328 feet) in height, there are four smaller domes that are 20 meters (66 feet) high and 16 meters (52 feet) in diameter, surrounding a large dome in the center of the structure which is 40 meters (131 feet) high and 27 meters (89 feet) in diameter. Having about 222,000 square meters (2,389,588 square feet), it can accommodate up to 45,000 people, while 2,000 women can attend worship ceremonies in a separate upstairs space. 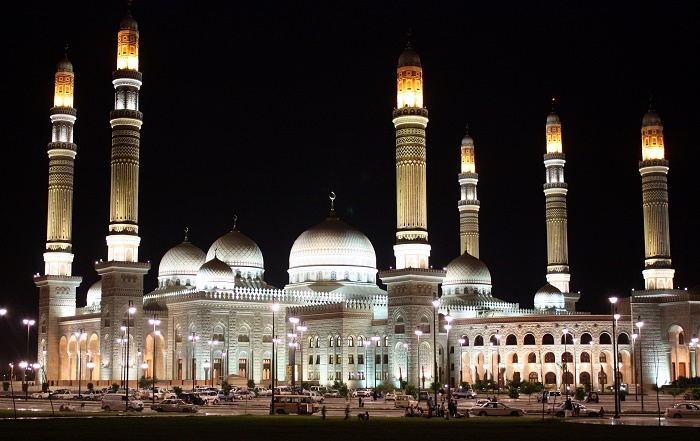 During the construction of the mosque, the minarets collapsed multiple times, however, the mosque was constructed using different types of stone, some of which include black basalt stones, limestone in red, white and black. 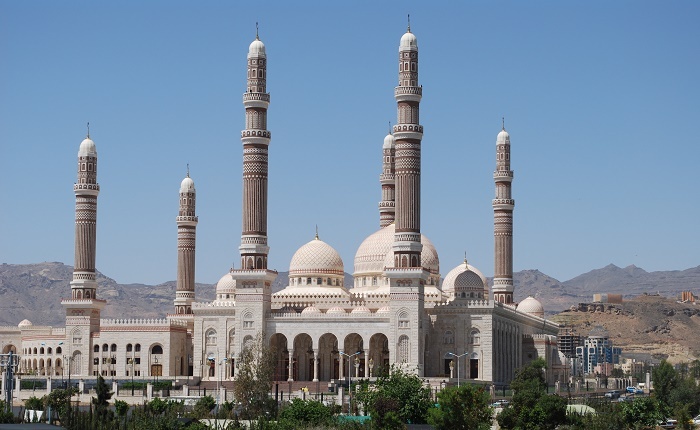 Serving as a great monument and symbol of both Islamic and Yemeni heritage, the religious structure was built so good, so that it will endure the extreme weather conditions. 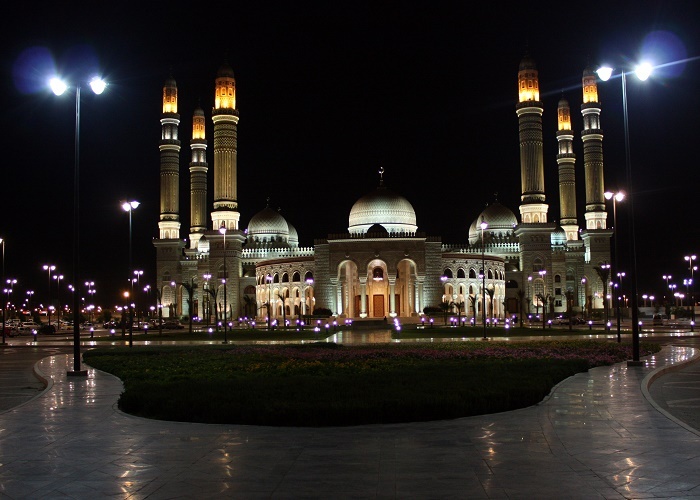 Using reinforced cement and concrete from local materials, the Saleh Mosque is in the vicinity of the Presidential Palace, on the country’s largest parade square, Al Sabeen Square. 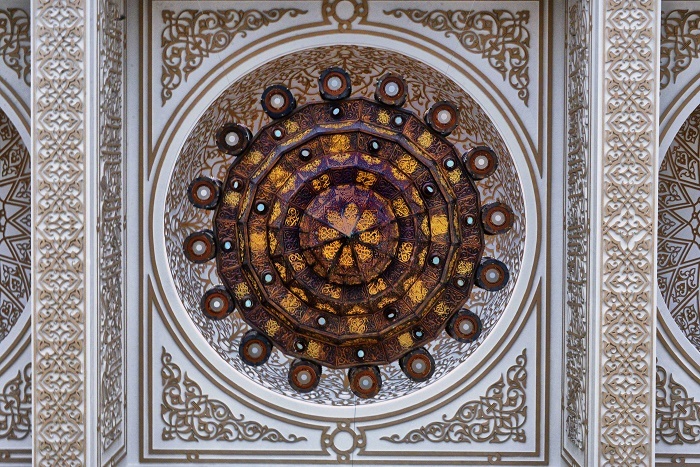 In addition, there are sprawling gardens, green courtyards together with the mosque, nevertheless, there is a parking space where thousand cars can be parked. 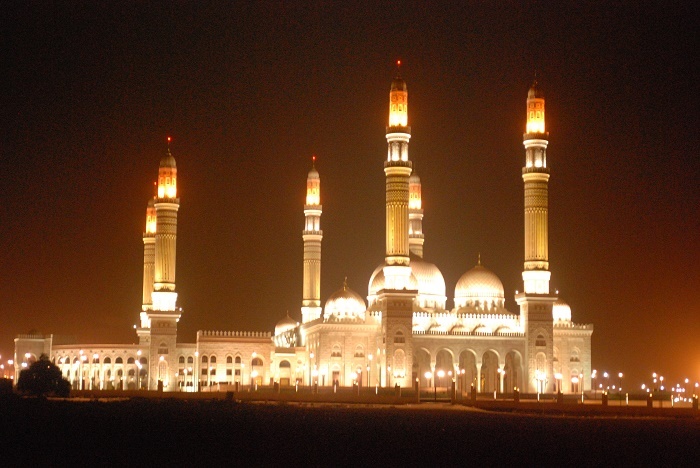 Today, Saleh Mosque is definitely one of the most amazing religious structures that combines the traditional ancient architecture together with the modern models of construction, shaping the future building of religious buildings around the Arabian Peninsula, and around the world.